Over the last two decades, David Pope (DesignPusher) has proudly collaborated with the internationally renowned design studio Neubau. 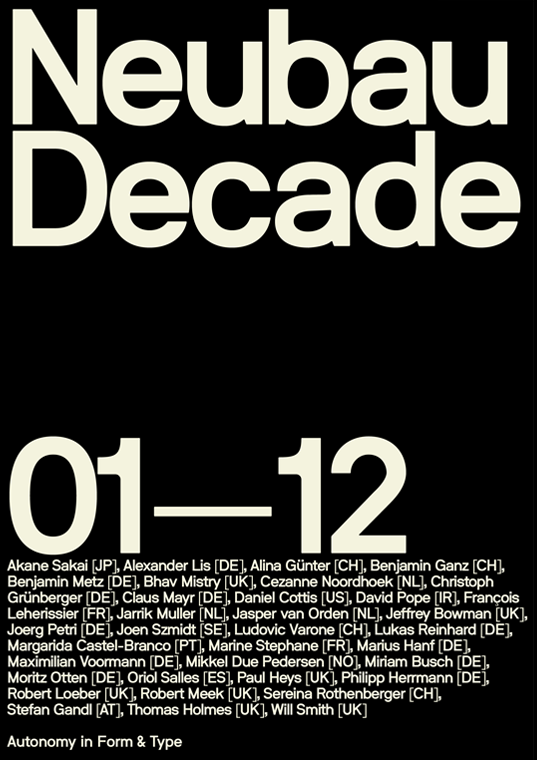 The poster below celebrates the studio's first 10 years in Berlin. 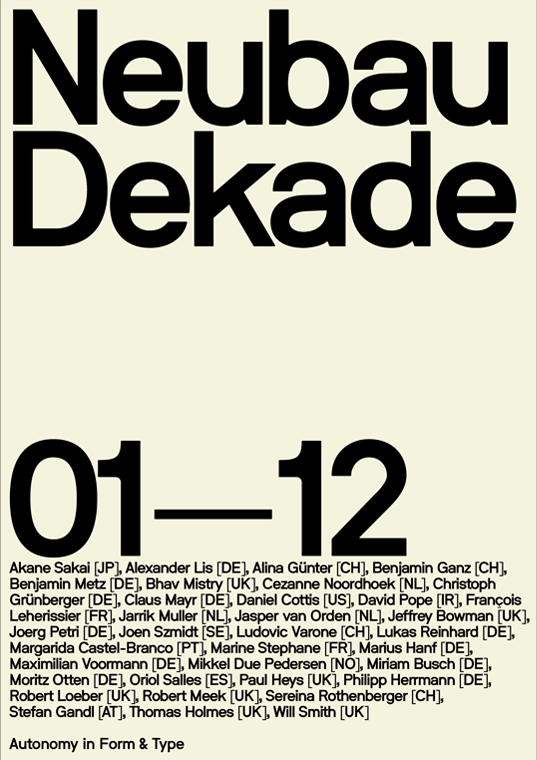 Neubau Dekade Poster and Typeface (NB-International Pro™) designed by Stefan Gandl, Neubau (Berlin). All rights reserved. Image used with permission.